You are offered $1,000,000 for the following act: Before you are ten pistols–only one of which is loaded. You must pick up one of the pistols, point it at your forehead, and pull the trigger. If you can walk away you do so a millionaire. Would you accept the risk? Short answer: Yes, it’s a million dollars, and I am in debt and have things I want. Also, there’s a 90% chance I’ll get the money and a 10% chance I’ll die. Given my tendency to walk in traffic, I clearly don’t fear death. 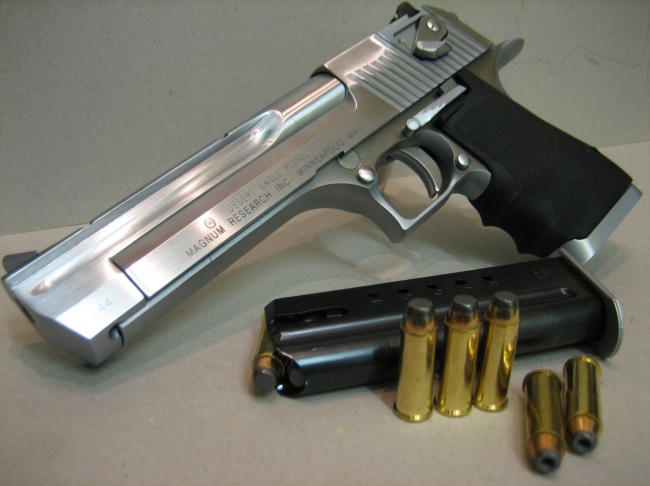 Long answer: What type of pistols? Some would not deliver a fatal wound, and some might not deliver much of a wound at all. If such is the weapon, the risk is less, so I even more would go for it. So yeah, any eccentric millionaires or billionaires who want to set up this test, go for it. I’d do it in a heartbeat. I want to get out of debt. Note: This is question 44 from The Book of Questions by Gregory Stock, Ph.D. I had assumed that the pistols were Desert Eagles. My answer is always: no. 90% I won’t pick the bad gun? Not good enough, especially not for a million dollars. preaching abօut this. I’ll ѕend this iոformation to him. Fairly certain he’ll have a good гead. Maany thanks for sharing! is analyzing these kindѕ of thіngs, tҺerefore I am going to convey her. Can I pick up more than one pistol to see if there is a weight difference? Since the question says “pick up one”, I assume not.